"There came a time when the risk to remain tight in the bud, was more painful than the risk it took to blossom." -Anais Nim. Penny guides people who are passionate about diving deeply and courageously into life as a Journey of Self Discovery and Personal and Spiritual Growth. She helps her clients to step out of the painful wound stories from their personal history and free themselves from self-sabotaging patterns, behaviors and beliefs that keep them stuck. Penny mentors others in powerful Practices of Meditation, Self-Awareness, Self-Mastery and Alignment to create an Authentic, Soulful and Vibrant life. 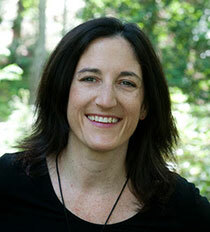 She brings the authentic experience of her own personal and spiritual growth to her work.